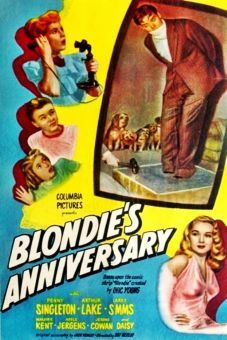 The "Blondie" series reaches Number 25 with Blondie Hits the Jackpot. 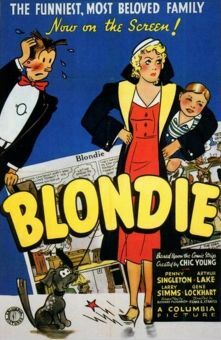 Fired for messing up an important contract, Dagwood (Arthur Lake) takes a job as a manual laborer for a construction firm. 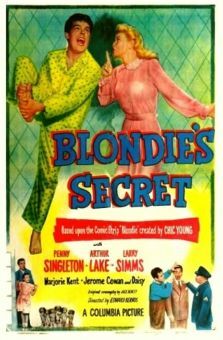 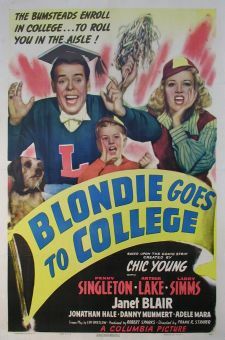 He is rescued from penury when Blondie (Penny Singleton) wins a radio contest. 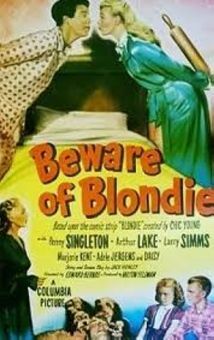 Of slender interest is the fact that Larry Simms, playing Blondie and Dagwood's son Alexander, is now shaving and going out with girls--a far cry from his "Baby Dumpling" days in the series' earliest entries. 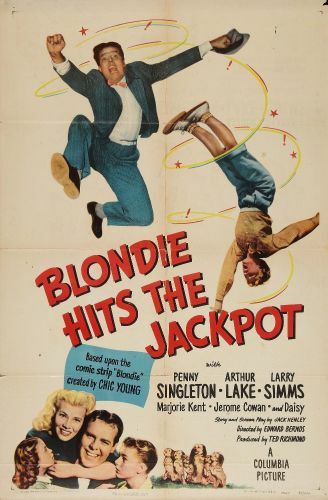 Otherwise, Blondie Hits the Jackpot fails to live up to its title.